Spence is a litigator, coverage lawyer, and trial attorney whose practice focuses on insurance, business and environmental litigation. He has tried cases to judges and juries on subjects ranging from contingent business interruption losses to personal injury and wrongful death disputes. For almost 20 years, Spence’s practice has centered on commercial insurance coverage and extra-contractual litigation, representing insurers and insureds throughout the country. 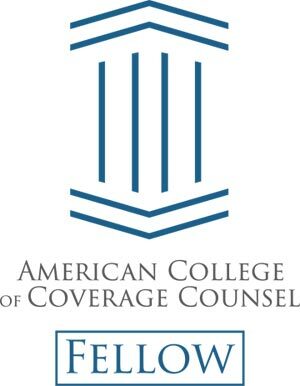 He is one of only two Alabama attorneys selected as a Fellow in the American College of Coverage Counsel, the preeminent association of U.S. and Canadian lawyers who represent the interests of insurers and policyholders. Spence has litigated and analyzed claims under a wide variety of insurance products, including commercial general liability, commercial property, directors and officers’ liability, employment practices liability, aviation, fidelity, floor plan insurance, builder’s risk, and pollution legal liability policies, among others. When representing insurers, Spence helps his clients to transfer their risk to responsible parties, where appropriate, and to make sound coverage determinations that fulfill policy obligations without expanding their scope to risks the insurer never intended to assume. 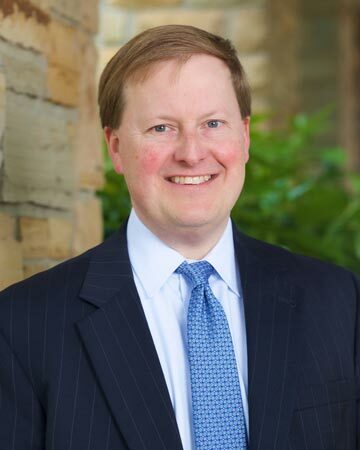 Spence has spoken on the subject of insurance coverage on over a dozen occasions and has published articles in numerous publications, including Risk Management Magazine, Natural Resources and Environment, and Business Alabama. Whether trying a case to twelve jurors in an unfamiliar venue or looking for answers inside the four corners of a policy, Spence loves the practice of law and helping clients manage risk. Represented roofing shingle manufacturer in overturning an appraisal award and securing $11+ million jury verdict for client’s commercial business interruption losses when its plant shut down due to damage at indirect supplier’s facilities in Canada. Insurer Hit with $11M Verdict in Plant Shutdown Suit, Law360 (Sept. 28, 2012). Represented international valve and fittings supplier in securing insurance coverage for 2000+ asbestos claims, including “drop-down” coverage under umbrella insurance policies and relief from state guaranty association for liabilities of insolvent insurer. Represented manufacturing facility in securing 90+ million recovery for damage resulting from 2011 tornadoes, including coverage for real estate (including increased cost of improvements), personal property, and business interruption losses. Represented manufacturer in pursuing liability insurance coverage for long-tail environmental liabilities in toxic tort litigation filed by over 300 claimants after shutdown of plant. Served as coverage counsel for national truck distributor in seeking reimbursement of losses resulting from stolen vehicles covered under floor plan insurance policies. Represented community bank in securing insurance coverage under financial institution bond for forgery and counterfeit coverages, representing bank from submission of claim through settlement of litigation. Represented insurer in securing summary judgment based on business risk exclusions in case involving construction defect allegations against roller coaster manufacturer. Custom Coasters v. Stonewall Surplus Lines Ins. Co., No. 97-1025-P-S, 1999 U.S. Dist. LEXIS 3295 (Feb. 24, 1999). Defense verdict for commercial insurer against claims by former executives seeking to exercise stock option agreements, including successful defense of appeal. Defense verdict for bank against identify theft claims by customer claiming theft from personal accounts. Summary judgment for financial advisor in fraud/misrepresentation case involving sale of debenture. Directed verdict for commercial property owner and business in premises liability/personal injury action. Secured arbitration award transferring liability from client to claimant’s employer in wrongful death action, including subsequently representing client in wrongful death jury trial. Successfully represented buyer of manufacturing facility in pursuing indemnification for property contaminated with chlorinated solvents, resulting in sale-back of property to original seller. Representation of manufacturer/distributer against citizen suit and common law claims brought by neighboring commercial property owner. Representation of publicly owned treatment works in state enforcement action and citizen suit litigation. Successfully defended company against citizen suit claims under Clean Air Act resulting in their voluntary dismissal with prejudice. Vestavia Hills United Methodist Church, Board of Stewards (current); Church Council (former).